Join us in this free workshop with Clear Englebert as he shares his knowledge and wisdom in using feng shui in the office. This class covers the most important decision in offices: How to place the desk in a powerful position—one that represents support, backing, and awareness—and, of course, what to do when the ideal desk position in unattainable—such as in cubicles. The class also covers the flow of energy within the office and how to counter the effects of harsh energy. Applying the bagua chart to the office plan and desk top is also explained. Office colors, surface choices, decoration, and lighting are also discussed. ***Free parking in any of the stalls inside the gate and free street parking is available after 6:00PM. His first book, Feng Shui Demystified, was published in 2000 by The Crossing Press, and reissued in 2010. Bedroom Feng Shui, appeared in 2001, and was reissued in 2011. The new editions of both books are substantially revised, with many more illustrations, and available from Amazon or through your local bookstore. In 2008, Feng Shui for Hawaii was published by Watermark Publishing in Honolulu, followed in 2012 by Feng Shui for Hawaii Gardens. 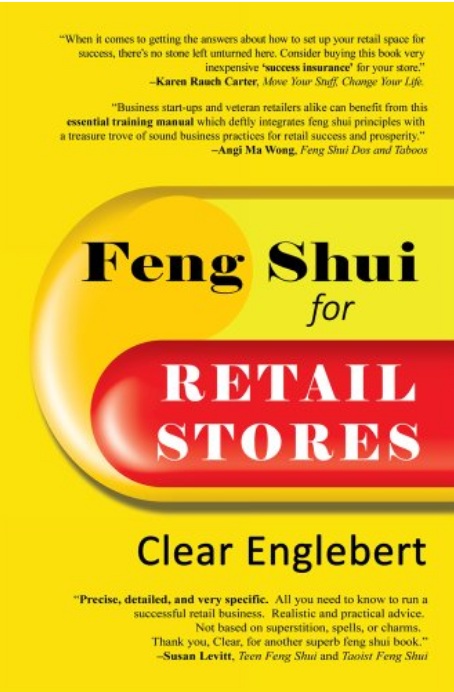 Feng Shui for Retail Stores was published in 2013. His latest book, Feng Shui for Love & Money, was published by Watermark in 2015. About his feng shui practice, Clear says, "I couldn't practice feng shui if I didn't believe in it, and I wouldn't believe in it if I hadn't seen it work."